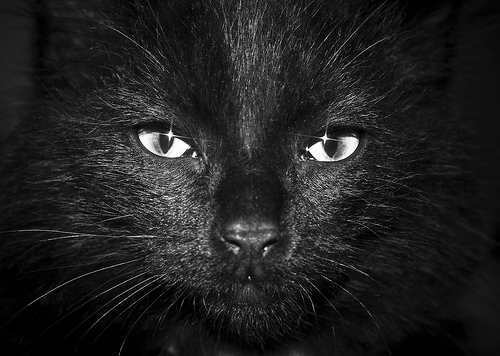 Is a pure black she-cat with long flowing fur and silver eyes. so beware of this moody she-cat. She dose have a nice side but even that side is a bit sharp. Nightstream knew she wante to be a medicine cat before she was even kitted. she was already a highly respected cat in her clan and still is. A long-furred smokey and black tom with pale yellow eyes almost a silver. pretty she-cats. I'll Rp the rest. has been very cautious of therivers and streams. Personality : Petalsong is a sweet, quiet cat. Though she may seem shy when you first meet her she opens up once you get to know her. History : Petalsong is a half clan cat. Both her parents are dead now. Her father Darkclaw was from another clan and died in a border fight and her mother Squirrelpelt died of a broken heart soon after. 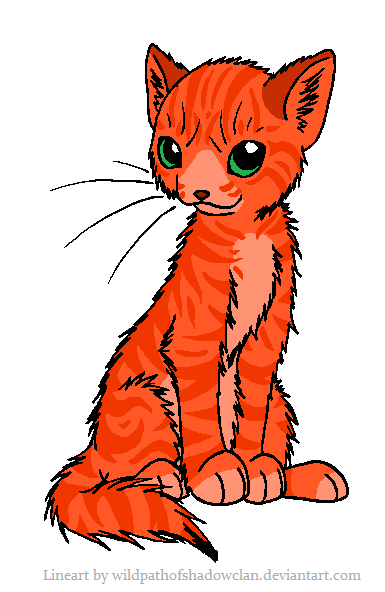 Other : She wants to become a Medicine Cat so that she may speak with her parents in Starclan but is unsure whether she shoulder because she wants kits in the future. Appearace :dark brown and light brown tabby with dasrk green eyes. Appearace : Black she-cat with silver stocking(leg to half of it covered) on three legs.orange eyes. Personality : Fair,kind,fun and kit-like at times.Can be cold. History : Ravesong was once a rouge,so shes a little mistrusted by some cats.But most cats trust her. Other : loves to play with kits. Appearace : (written please can be short and you may add pics) White she-cat with silver splodges. She has crystal blue eyes and a poofy tail. Personality : (at least one sentance)Silversplodge absolutely loves kits, and loves being a mother. Other : Her kits are, Moonkit, Dawnkit, Shinykit and Stealthkit. Appearace : (written please can be short and you may add pics) White tom with grayish blueish lines on his pelt. Has sky blue eyes. Personality : (at least one sentance) He is kind, but loses his temper easily. History : His mother and father were killed by badgers when he was a kit. Gender : Tom, She-kit, she-kit and tom. Appearace : (written please can be short and you may add pics)White with a black steak on hind leg. Orange tabby. Silvery gray. Black and white. Personality : (at least one sentance)He is quite quiet, but enjoys to play with his littermates. She is a enthusiastic kit, and can't wait to be a apprentice. A quiet kit, she likes to stay in the nursery instead of playing with her littermates. He faced greencough when he was 1 moon old, but he was a fighter from the start, and he still is.